Champions Group invites Corporates to join Bangalore's Unique "Midnight Marathon" promoting "Run for Green"
Mr. Subhakar Rao, the CEO of the Champions Group sponsored the Midnight Marathon Corporate Relay as a part of the Midnight Marathon 2010. The corporate relay was conducted to give the corporate community a chance to participate in the marathon as a team of eight. It was a corporate activity aimed towards saving the environment with Going Green participating in the “Run for Green” themed marathon. This was one of its kind marathon in the world that was conducted in the middle of the night. 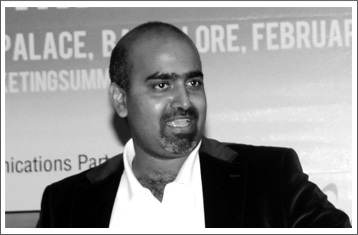 Subhakar Rao was titled as the one of the "100 Most Influential Global Sales & Marketing Technology Leaders" by the Marketing Times in 1993. A decade after launching the Champions Group, he built "Champions Trust & Charitable Foundation". This foundation provides educational opportunities to economically challenged students and assists teachers and organizations in providing quality education. This trust mainly emphasizes on children and senior citizens. 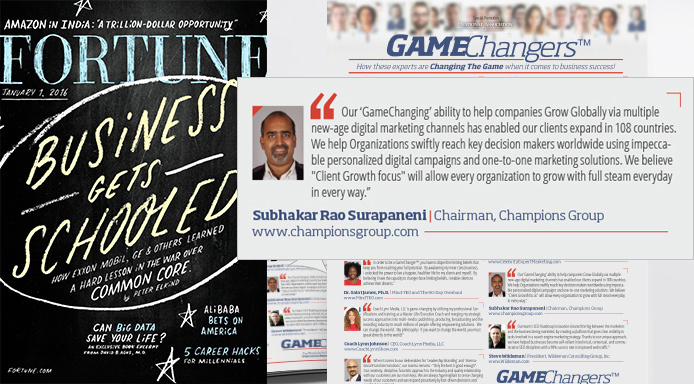 Featured entrepreneur as a "GameChanger" in Business, we have enabled clients to expand their business across 108 countries. We are designated as one of the "100 Most Influential Global Sales and Technology Leaders" by the Marketing Times. 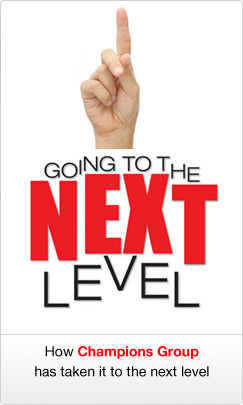 Backed with our definitive marketing solutions, we have successfully set up 18 plus start-ups helping new enterprises & start-ups to grow and thrive and improvising measurable revenues.